Our second day began by crowding into a colorfully decorated Matatu. Matatu’s are the most common form of public transit in Kenya. They are often elaborately decorated by different graffiti artists. If you’ve watched Sense8 on Netflix, then might be familiar with them. 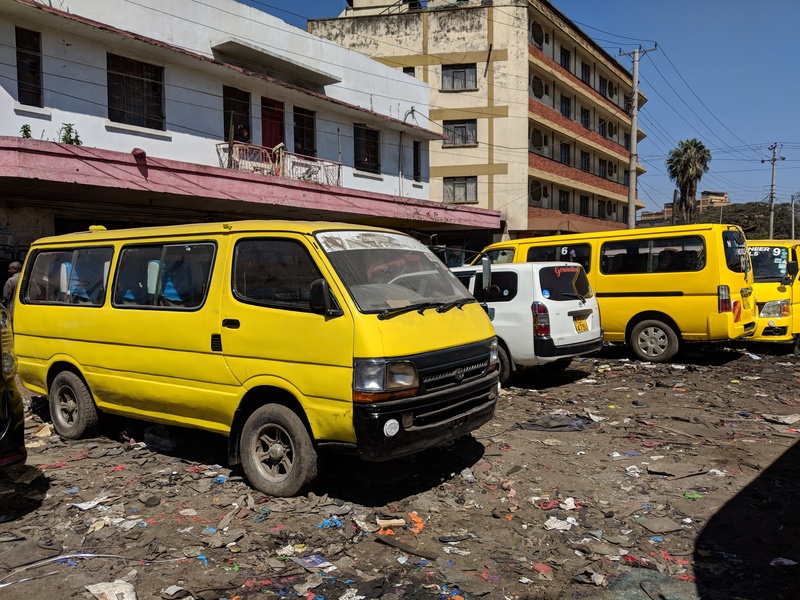 The character Capheus Onyango is based in Nairobi and drives a Jean-Claude Van Damme matatu he calls “Van Damn.” Our site visit was put together by the Flone Initiative, an organization that aims to create safe commuter spaces in the Kenyan public road transport network. We spent the day with women who work in the matatu industry as well as some graffiti artists. 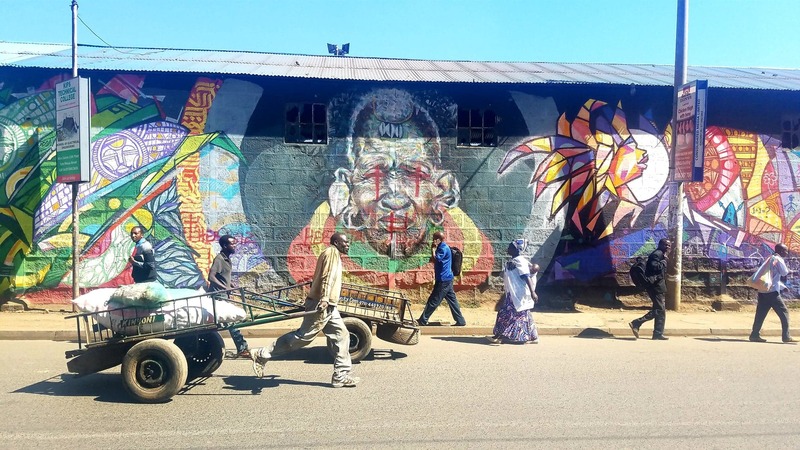 Nairobi street art. Photo by Helen. Our first stop was to see some Nairobi street art. From there we went to one of the garages where they paint and customize the vans before they go out on the road. We got to see some of them getting fresh coats of paint and new tires. After that we went to one of the major bus depots and walked through the central business district of Nairobi. Finally we sat down for a presentation and discussion on some of the work that is being done to make matatu’s safer for women. Listening to the stories from the different women working within the predominantly male matatu industry was a really powerful experience. While there have been some real legislative strides made in recent years, a lot of challenges still remain. There was a universal element to the discussion; the safety of public transit for women is not unique to Kenya. Women navigate through innumerable challenges on a daily basis that men don’t even have to think about. The difficult question at the core of it: how do you go about changing a culture? After that, we ate some lunch together before taking off to our next site visit: the Emerging Leaders Foundation. As was mentioned in Day One's discussion on tax justice, corruption among the political leaders of Kenya is a widely recognized problem. The Emerging Leaders Foundation aims to train and empower the next generation of business and political leaders. We got to meet with many of the graduates and hear their different stories. We learned about the foundation’s focus on building confidence and public speaking skills, and broke into groups for at-length discussions. Photo from the ELF Facebook page. A side note on the residual effects of colonialism: class struggles are still very prevalent in (although not unique to) Kenya. This was evident in the fences and security checkpoints that surrounded every hotel we stayed at, and came up numerous time throughout the trip. 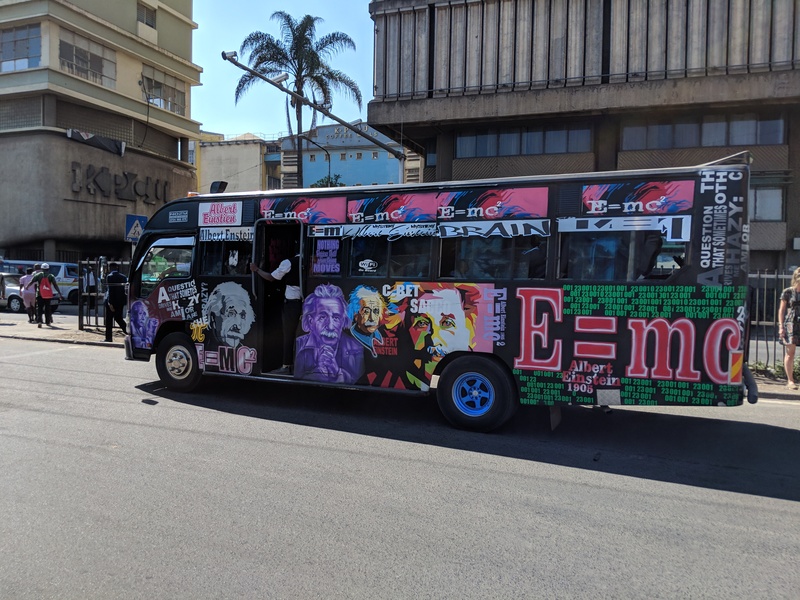 On this day it showed up when the matatu we had been riding in all day was not allowed on the grounds where we met with the Emerging Leaders Foundation. 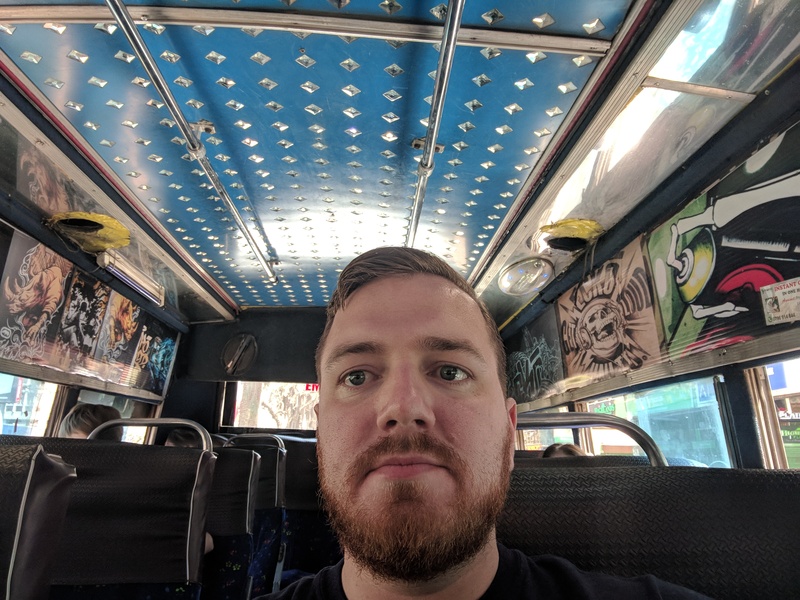 Selfie on board the matatu. I went for a brief swim when we got back to the hotel. Our planned event for the night was changed, so we went out for a group dinner. It was really nice getting to know some of my colleagues better. I really love the fact that I work with so many people across the LGBT spectrum. I have had more jobs than I could count where I‘ve had to mask who I was. It feels good to me, and to be with others who can do the same. For the third day, our cohort broke into three groups. 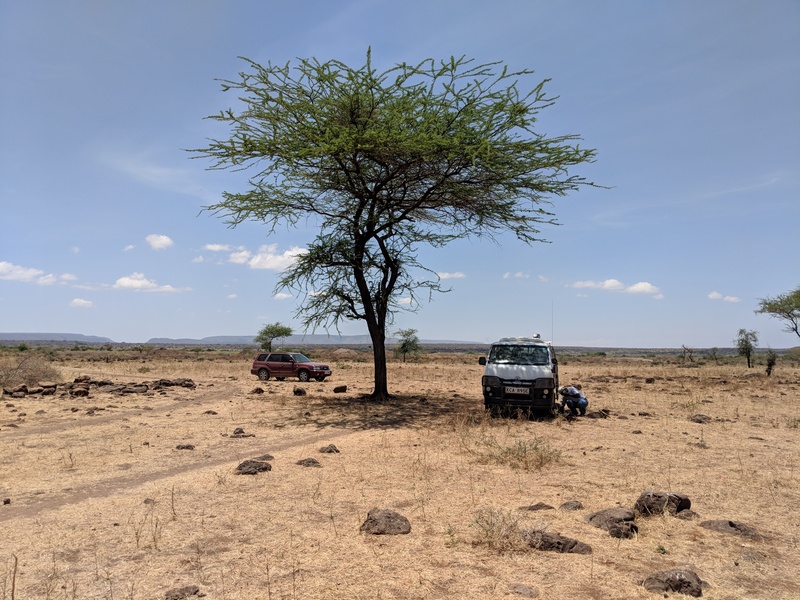 My group set out at 7am for Kajiado County, a few hours drive outside of Nairobi. I did a little writing and some sleeping on the first leg of the ride, which was mostly highway driving with very little traffic. After two hours we finally met up with representatives of NASARU, the group who was organizing our site visit for the day. 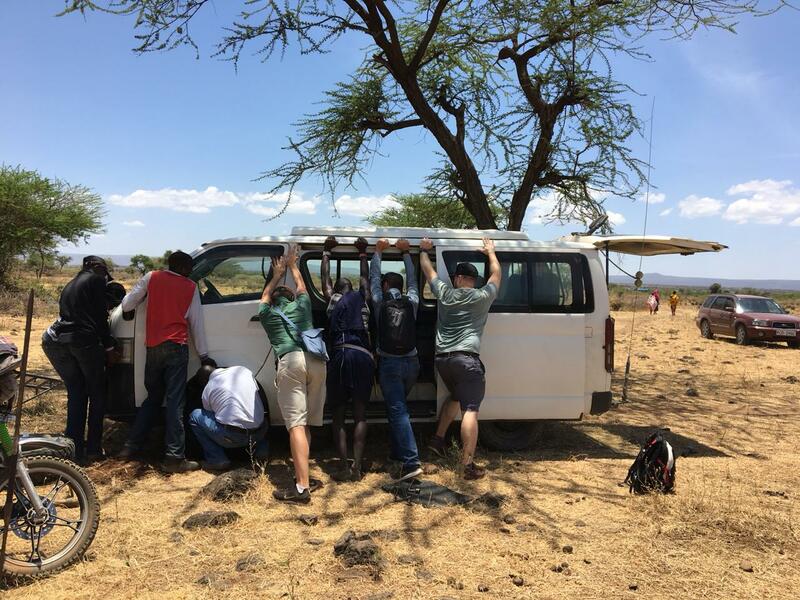 With them guiding us, our all-terrain safari vehicle left the highway and we began our journey into the heart of the Maasai lands. We stopped for the occasional herd of cattle and drove through some dried out river beds. For the most part they were pretty flat dirt roads, but there were a few sections that really strained the limits of our vehicle. Driving through a herd of cattle. Eventually we reached the first village. 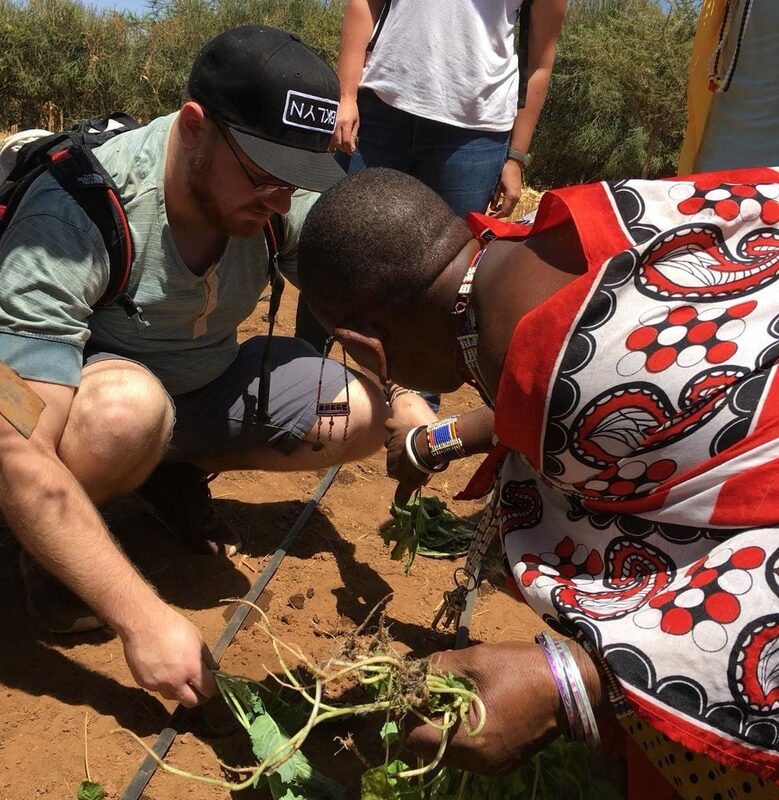 Here we got to see some of the small farms that the Maasai women have started. 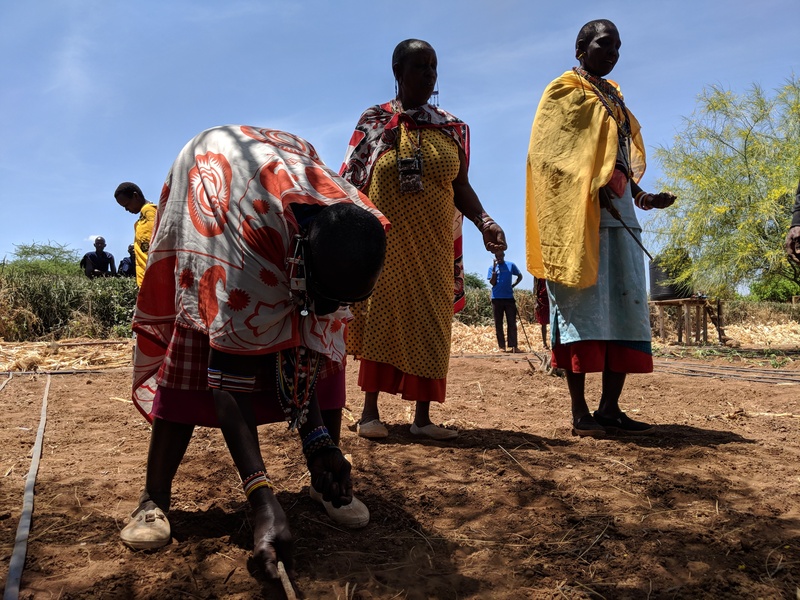 While the Maasai are traditionally a pastoral society, extended droughts from climate change and private land ownership have hindered the grazing of their herds. NASARU is an organization that aims to empower grassroots women in pastoral communities and end harmful cultural practices. Using modern irrigation techniques that are ideal for dry climates, they have been planting and harvesting a small selection of crops. The idea is for it to be a supplemental source of nutrition as well as income, thus giving the women more financial independence. I’ll mention again here that all pictures were taken with permission. I also left a few videos and pictures out because they felt too personal. We each helped the women with planting some new rows of spinach. It was interesting to see that as we worked with the women doing the planting, then men who were there stood along the fence and watched. Their society is very strictly divided in its gender roles. I will say this though; while they are an insular culture that's steeped in tradition, they were incredibly kind and welcoming. From there, the matriarch of the home we were visiting took us into one of the houses. The houses are all built by the women using a mixture of mud and cow dung. Going inside was a bit of a shock because we transitioned from the bright sun to pitch black. It took awhile for my eyes to adjust. The house was much larger on the inside than I would have thought, and much cooler. Before leaving, we all briefly met and thanked the head of the household, who was not feeling well enough to come out and see us. 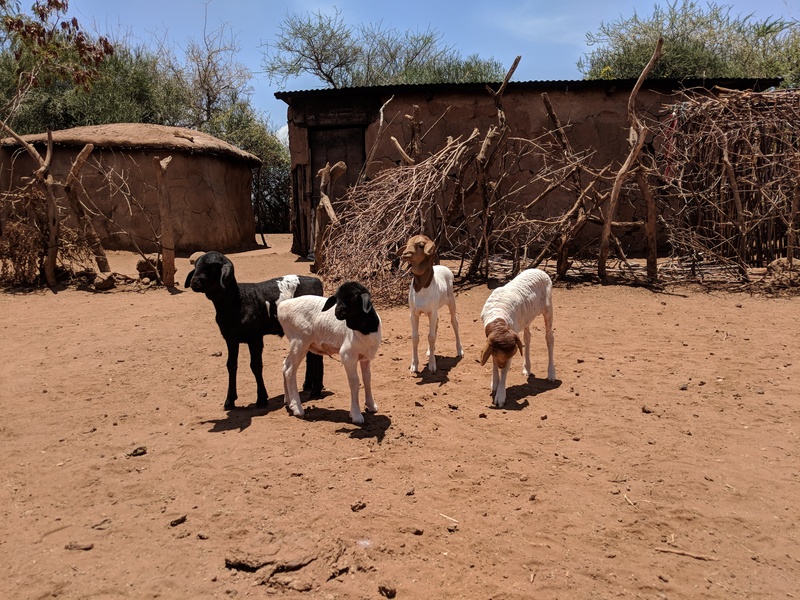 Baby goats in front of some Maasai houses. As we were walking back out to the van, some baby goats adorably ran out to greet us. Of course I took video and some pictures. When we got back to the van, the driver was changing one of the tires that had gone flat on our ride in. It ended up being a bit of a group effort to get the new tire back on, but we managed it pretty quickly and were back on the road to our next stop. Changing the tire. Photo by Anne. Our next stop was the home of Juliana, the director of NASARU. Her personal story was equal parts fascinating and inspiring. It’s not my place to tell it here, but one refrain she kept saying to us was that her activism started in her own home. Her sisters greeted our small cohort with some beautiful traditional singing. It was an especially profound moment. We walked through and shook hands with all of them while they continued singing. We then sat down and learned about the Maasai practice of beading. 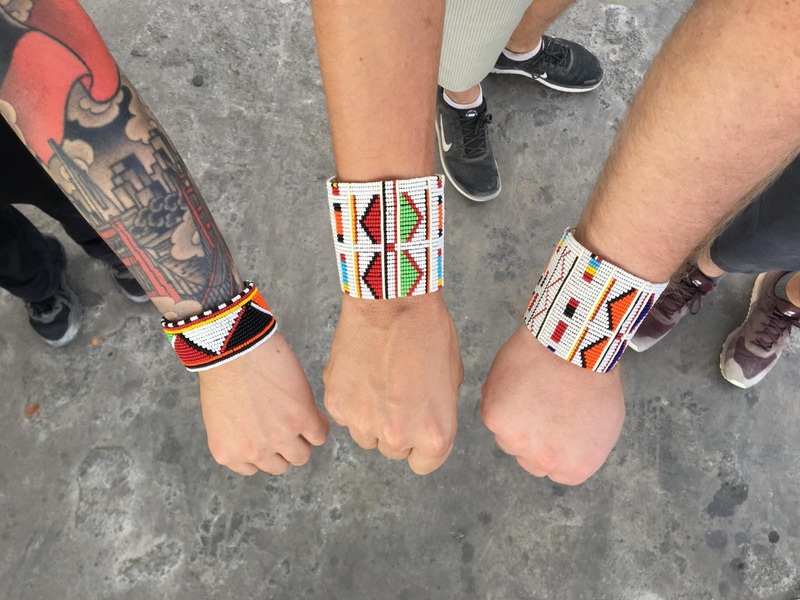 For generations the Maasai women have made and adorned brightly colored beaded jewelry. More recently NASARU has been working with them to sell if for additional income, further empowering themselves economically. 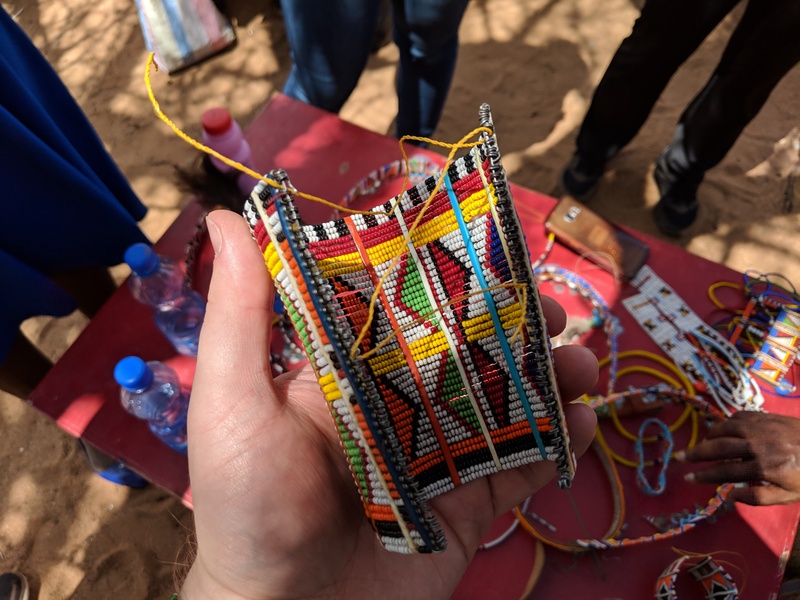 While the women invited us to put on bracelets and necklaces they had laid out for us, we talked and learned more about what NASARU means by empowering women. While they work in the context of climate change and economic empowerment, their aim is to give the women a greater say in their own lives. They want to give girls a choice on going to school as well as if they get married. They are also seeking to end harmful cultural practices like FGM. With all of our powers combined... Photo by Anne. We then shared a meal with them before exchanging some gifts. 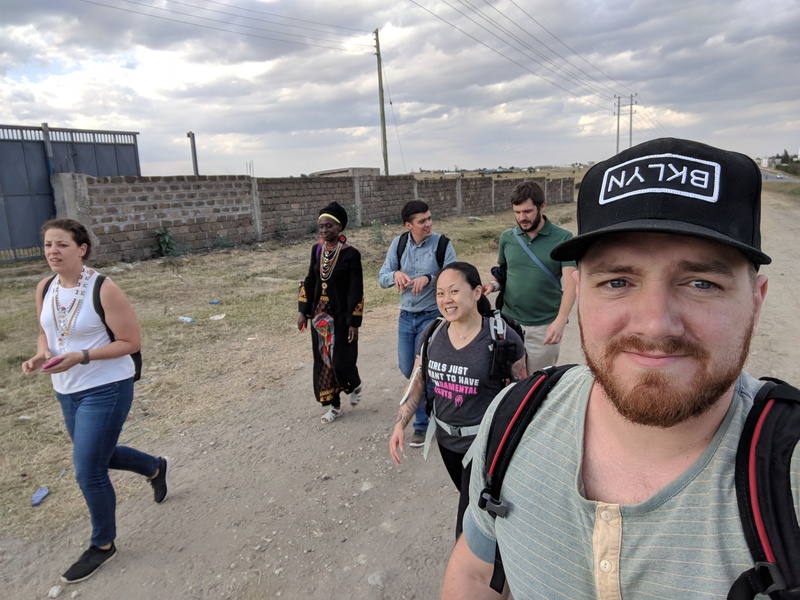 Before we left for Kenya, it was recommended that we bring some souvenirs with us from home that we might leave with the people we met throughout the trip. I brought bookmarks from Dream Crasher and made sure everyone there who wanted one got one. Before long, we said our goodbyes and thank yous, then were back out on the road. For those wondering what I meant by the particularly rough parts of the road, I am including a video below. Fun side note: my fitbit counted all of the bumps as steps so it looks like I did a ton of walking that day. Once we got back out on the main road, we started our journey back toward Nairobi. We seemed to be making pretty good time when the replacement tire from earlier completely blew out. We got out of the van and walked to the petrol station just up the road so the driver could get there without all of the excess weight. I snapped a group selfie to commemorate the experience. After the second flat tire. When we got to that petrol station, we found it was actually closed. We called the driver who had gone just a little bit farther up the road and was getting the tire changed. All things considered, I think it only took about a half an hour before we were back on the road. 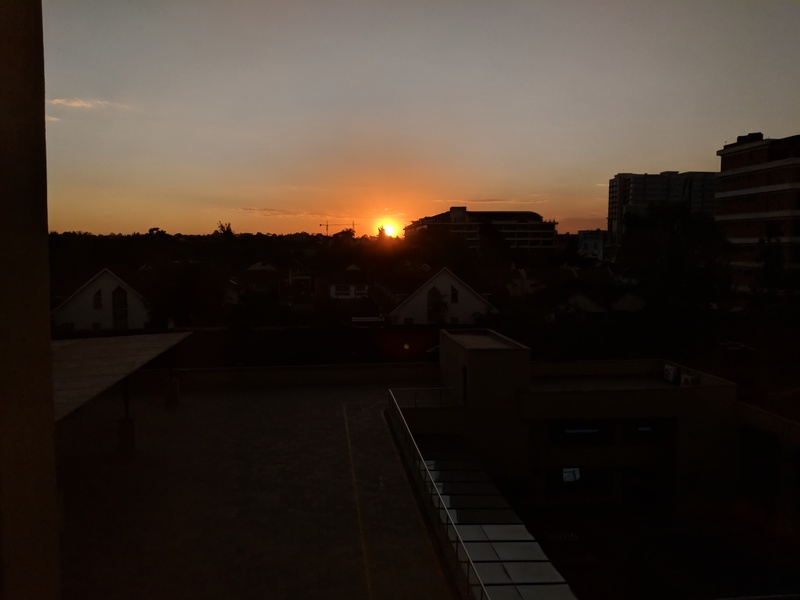 We still got snagged in some infamous Nairobi traffic near the airport, but we ended up being the first group to arrive at dinner. One of our foundation's program directors who lives in Nairobi opened up her home to us and treated us all to a meal and drinks. We traded stories with the other groups about our different days, and I got to meet some of my colleagues from our Nairobi office. I slept well that night. It was a long and tiring day, but it was worth the long hours of riding. It was a day that will stick with me for quite some time. Sunrise from my hotel room. We checked out of our hotel rooms early, then attended a panel at the hotel on Kenya’s new constitution. The panel was moderated by Stella - whom we had met on Day One with PAWA254. I won’t go into too many details, as the context requires a lot more explaining than I am willing to do for this blog, but a good summarization might be that even a beautifully written and constructed constitution has its limits in practice. 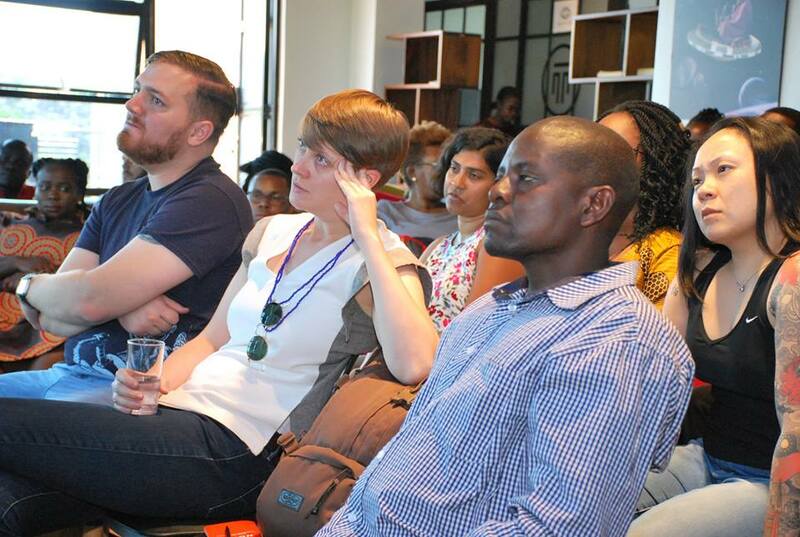 After leaving the hotel, we went to our final Nairobi site visit: iHub. iHub has often been dubbed “Silicon Savannah,” but the homage to Silicon Valley isn’t really that fitting. 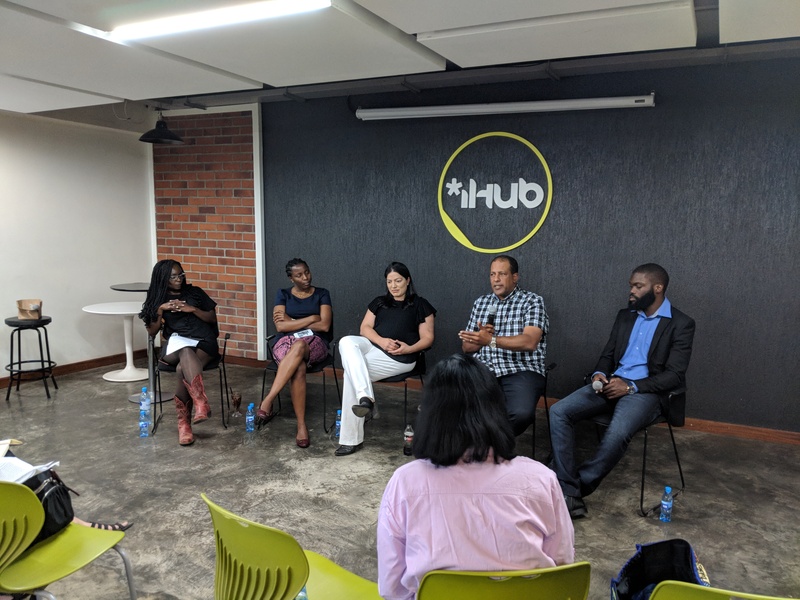 iHub is a place where numerous tech startups can rent space in order to plan and launch their businesses. Unlike Silicon Valley though, one of the main strategic goals is to lift Kenyans out of poverty. 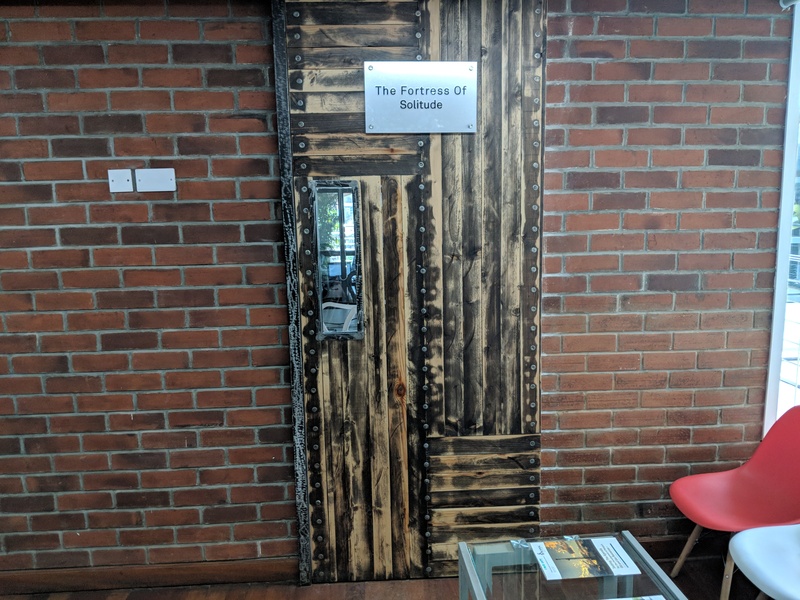 We were given a tour of the facility, where I learned that all of their conference rooms took their names from different DC Comics. After that, we sat with another panel and discussed the challenges and opportunities that new technology is bringing to Kenya. While they saw a ton of success with it’s popular M-PESA digital money transfer service, there have been lots difficulties in creating other financial products that people living in poverty can actually use. I appreciated the candid nature of the panel discussion, which gave us a very broad perspective in a relatively short amount of time. After having lunch, I was tasked with saying thank you to the iHub personnel on behalf of our group. We left in a hurry so that we could still make our flight. We lucked out because there wasn’t any traffic. We arrived at the airport with plenty of time to check in, wait, and decompress. Keep an eye out for Part II in a few weeks.